On April 10th to the 13th, the largest whiskey festival in the U.S. will be held. 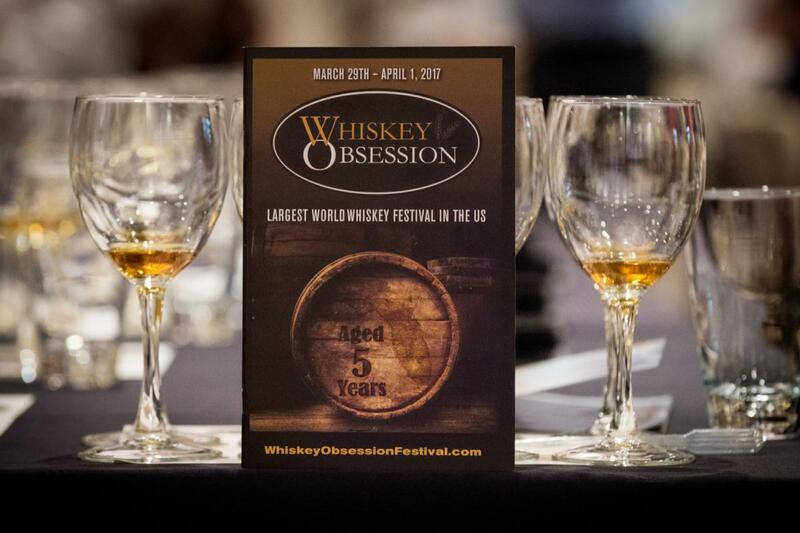 The Seventh Annual Whiskey Obsession Festival will be four days filled with hundreds of whiskeys and cocktails for your taste buds to experience. Each day will have its own unique planning of classes, tastings, lunch and dinner pairings, interactive panel discussions, cigars, VIP pours, and there will also be a grand tasting. This event will be hosted by Winston Edwards at the Sarasota Yacht Club from 6:30 p.m. to 9:30 p.m. There will be a special four-course menu with cuisine selected from Chef Anthony Puccio. With your four-course meal, you will have a pairing of whiskeys, along with a prominent guest speaker. The tickets to attend this event are $125 per person and a membership to SYC is not required. The dinner will be held from 5 p.m. to 6:30 p.m. at The Hyatt Sarasota. This event will host an intimate meal that is limited to only 20 guests. A brand ambassador or master distiller will be greeting you with various whiskeys during your meal. The tickets are $125 per person. Come join Ashok Chokalingam, Global Ambassador and Assistant Distiller at Amrut Distillery with a three-course dinner featuring four award-winning whiskeys from India: Amrut Single Malt, Amrut Fusion Single Malt, Amrut Peated Single Malt, and Amrut Naarangi Single Malt. Join Nicholas Pollacchi, Single Malt Director at Jura Single Malt for dinner with four Scotch whiskeys: Jura 10 Year, Jura 12 Year, Jura Seven Wood and a surprise! The event will be held at The Hyatt Sarasota from 7 p.m. and go until 10 p.m. This event will include eight brand ambassadors and master distillers giving you tastings of multiple styles of premium whiskeys. This tasting is limited to only 130 guests and the tickets will be $75 per person. The final event of the day will be from 10 p.m. until later in the evening at The Late Night Brand Showcase at the Social Eatery and Bar. You will be served cocktails, along with whiskey samples. Tickets are $25 per person. The first event will be at the Masterclasses at The Bijou from 12 p.m. to 1:30 p.m. This lunch masterclass will be in an intimate group setting with Single Malt Director at Whyte and Mackay, Nicholas Pollacchi. The tickets are $40 per person including meal, single malt Scotch whiskeys and commemorative Tervis custom tumbler. The last event will be from 7 p.m. to 10: 30 p.m. at The Hyatt Sarasota. You will have the opportunity to sample hundreds of whiskeys and cocktails. There will be the world's premium global brands attending, as well as new, local emerging craft distillers from Florida and around the U.S. The last pour will be at 10:15 p.m.
Four Roses Single Barrel Deconstruction with Cile Moreno - 7:15 p.m. to 8:00 p.m.
Amrut Indian Whisky with Ashok Chokalingam 8:30 p.m. to 9:15 p.m.
Glengoyne Single Malt Scotch with Gordon Dundas 8:30 p.m. to 9:15 p.m.
VIP: $195. This includes a limited admission of 200 guests. You will receive a commemorative Glencairn glass and a 1-hour early entrance. VIP pours of 25 ultra-premium, fine, expensive and rare spirits during VIP hour. $50 retail voucher for purchases placed online with the retail partner during VIP hour. This provides a great opportunity to interact with distillery ambassadors and professionals. Unlimited Tasting of over 200 spirits. Priority seating of other WOF events during the festival, including the lunch and dinners. Wine, soft drinks, buffet, and hors d' oeuvres will also be included. General: $95. This is limited to 500 guests. You will receive a commemorative Glencairn glass. Entrance begins at 8 p.m. You will have an unlimited tasting of several hundred whiskeys and cocktails. Wine, soft drinks, and hors d'doeures will also be included. Companion: $45. Limited to 75 guests with entrance to VIP or general admission ticket holders. Wine, soft drinks, buffet and hors d'oeuvres will also be included. The first event will be held at Sarasota Yacht Club from 11:30 a.m. to 2 p.m. This event is in partnership with Sarasota Whiskey Society, Bourbon Women and the Black Bourbon Society. There will be a panel of three prominent women that have been making contributions to the whiskey industry. Jennifer Wells and Peggy Noe Stevens will be attending the event as part of the panel. They will each select two whiskeys to be paired with a special menu, that is created by SYC Executive Chef Anthony Puccio. Tickets are $45 per person and no SYC membership is required. The second event will be from 4 p.m. to 6 p.m. at Smokin' Joes. Bow Howell, Maury Jayson, and Mike Woods from Sips, Suds and Smokes radio show will be joining this fun and casual event. It will be hosting a pairing of cigars and whiskey. The tickets are $25 per person, which includes cigars, beer, and whiskey samples. The third event will be held by Whiskey Rocks at JDub's Brewing Company. This is the third year hosting live music by Ship of Fools. There will be whiskey samples, cocktails, food trucks, and of course, JDub's craft beer! Tickets are on sale now for the various events. To keep up with more local events and things to do in Sarasota, check out 941area, your free guide to everything in your city!